Want to reduce your heating bills and help the environment while creating a cosy atmosphere in your living room? If so, welcome to HWAM. For over 40 years we have been creating modern Danish stoves of the highest quality. We make it easy to fire up and spread warmth and joy. But we also care about the environment. Our newest technology utilises the firewood twice as well, saving you up to 50 percent. This way you spare the environment and your surroundings. On your mobile or tablet you can determine how hot you want the room to be. You get a reminder when you need to fill up with firewood. We call this solution a HWAM® SmartStove™ and the technology is a global breakthrough. It is easy to use and it is called HWAM® SmartControl™. This is a refinement of our loyal HWAM® Autopilot™ that has been the market’s best mechanical air regulation for the past 25 years. Whether you have our standard HWAM® Autopilot™ or opt for HWAM® SmartControl™, choosing HWAM means that your stove will always be eco-friendly. Choose from two beautiful door styles, Classic and Modern. Classic doors (c) are with a classic design look: A cast iron frame encompasses the large pane of the stove door. Modern doors (m) have a more modern look with glass on an invisible cast iron frame. Want to stand out from the crowd? We offer seven models in white, namely HWAM 3110m, 3120m, 3130m, 3630m, 3640m, 3650m and 3660m. Furthermore the HWAM 2610, 2620, 3110, 4510, and 4520 can be wall mounted or placed on either a pedestal or a plinth. 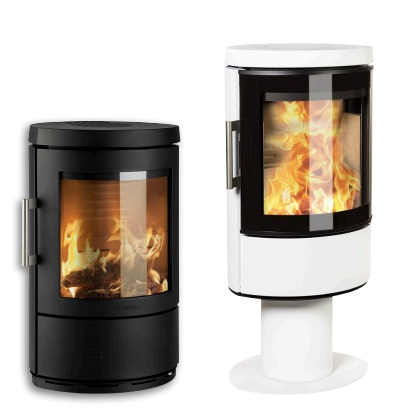 • Made in Denmark All HWAM stoves are designed and manufactured in Denmark. •HWAM® Autopilot™ does all controlling for you All HWAM stoves are supplied with HWAM® Autopilot™, which regulates the air supply automatically, so that you get more out of your firewood. 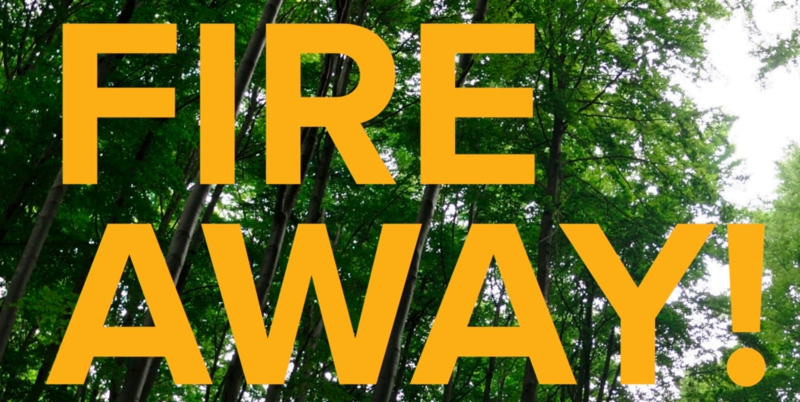 •Save on firewood If you would like to get twice as much out of your firewood, you can buy HWAM® SmartControl™ - a global innovation in the field of intelligent wood-burning stove control. •Always updated! If our skilled engineers find optimisations for the HWAM® SmartControl™ system, you can download the newest version in App Store or Google Play Store, in order to have the newest and best, intelligent control for your stove. •How warm would you have it? A HWAM wood-burning stove with HWAM® SmartControl™ gives you total control. This way the room temperature level is exactly what you want it to be. •Nice view of the flames with air wash system All HWAM stoves are equipped with an air wash system which guarantees you a nice view of the flames. •Unique closing system All HWAM stoves have an easy and unique closing system, which ensures that the door fits tightly. •Approved in all ways All of our wood-burning stoves are in compliance with the most rigorous of European requirements. Are you giving it any thought what sort of wood you are using? If not, we recommend you consider doing that. There is namely a massive difference between the calorific values of different wood sorts. How do you store your wood? Have you ever given thought to where and how you store your firewood? If not, you should. The way you store your wood does matter, as it is to have a moisture level of no more than 18 %. The wood can seem dry on the outside but still be moist inside if it is dried in an oven. It is therefore preferable to dry firewood naturally outside in the sun and wind. It is important to store it where it is exposed to sun and wind, and not on the ground, but stacked under a roof which keeps off the rain. It can take around six months to completely dry firewood outdoors. It is a good idea to fell trees for firewood during autumn and winter, as they contain less sap at this time. If firewood is not handled correctly it can develop rot or remain moist for several seasons. It is therefore important to be careful about how you store your firewood. Some people think firewood is dry if it is two years old. You cannot be sure of this if it has been handled incorrectly. Birch is a lighter wood and is good for lighting, as it catches easily and heats well. It does not produce much smoke, but burns with attractive flames and a wonderful aroma. The same is true for lime and chestnut wood. Beech wood requires a high temperature, but is ideal firewood which provides good heat and atmospheric embers. Oak requires a high temperature, but once the fire has taken hold, the wood has a long combustion and ember time. It produces atmospheric coals and crackles merrily.